Giancarlo Perbellini from the Perbellini Restaurant in Isola Rizza (VR) is the new Ambassador of the Taste of number 6 of ItaliaSquisita. High creative cuisine! There are few dishes that can really penetrate the soul of people, and one of them is undoubtedly the wafers of raw sea bass, caprino and feeling of licorice of Giancarlo Perbellini of the Restaurant Perbellini "Isola Rizza (VR). Dish of 2002, summarizes the relationship between cuisine and pastry, "I always say that this dish was pure luck, you could not realize it at the table! When was created it did not contain the licorice, and it felt however that there was missing a twist. Then we tried to find the right combination and we thought at the licorice! Not having it at home, we took a Sperlari candy, cut it and take the heart of licorice. We then coated on the spoon and the dish was pure perfection! " When you eat this delight, at the beginning is perceived the licorice, then it disappears and enters the sweet biscuit with sesame, sea bass tartare, goat cheese and chives, and eventually returns dramatically licorice. A cerebral and circular plate, because when a diner "open the doors" to this complex dish is particularly the brain that works! 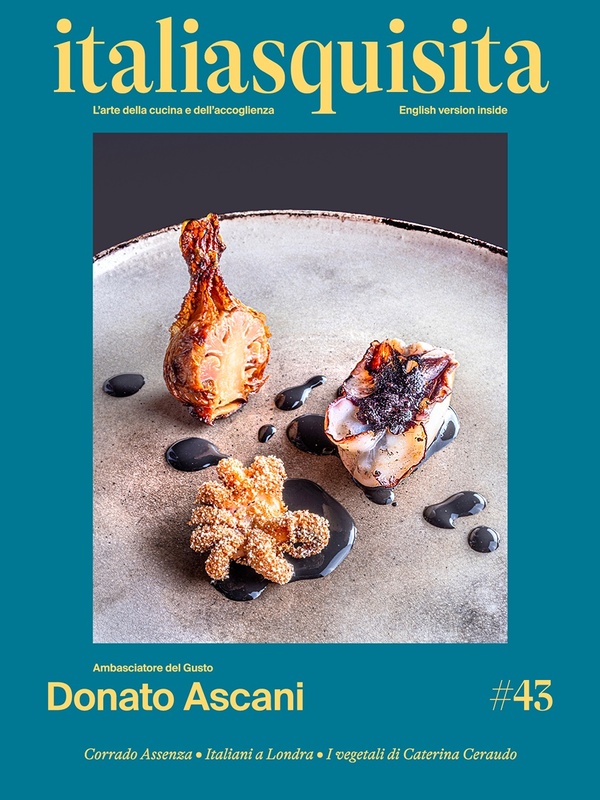 If this is not haute cuisine ... All this and more about Giancarlo Perbellini on the brand new number of ItaliaSquisita!